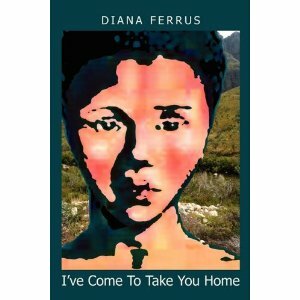 In 1998, Diana Ferrus wrote the poem, “I’ve come to take you home” in honour of Sarah Baartman. In 1810, at age 20 Sarah Baartman was lured away under false pretences by British ship surgeon, William Dunlop. She was taken to England where she was paraded as a sexual freak. In 1814, Sarah was taken to France where she was sold to an animal trainer. The terrorizing violation of Sarah Baartman continued after her death. A plaster cast was made of her body and then her body, brain and genitalia were dissected and put on display in the Musee de l’Homme in Paris. In the early 1950s, a South African indigenous people, the Griquas (one of the Khoi peoples) petitioned the French government for her remains to be returned to her country of birth. However, an 1850 French law stated that all artefacts in French museums belonged to France and the petition was refused. In 1996 President Nelson Mandela also made a petition to then French President Mitterrand. Finally in 2001 a French senator, Nicholas About introduced a Bill for her remains to be returned. The senator came across Diana’s poem, “I’ve come to take you home’ and presented the poem as part of his petition to show how Sarah’s people were ‘emotionally and psychologically’ affected by her remains still being in France. The petition was successful and for the first time, a poem was published in French law. On the 27th April, Diana left with a delegation from South Africa to collect Sarah Baartman’s remains and bring her home. On the 4th of May she arrived in Johannesburg and on August 9, 2002, Sarah Baartman was finally laid to rest in peace after 192 years. Surely then, Diana played some part in bringing Sarah Baartman home!